How much is Steve Scalise Worth? Steve Scalise net worth: Steve Scalise is an American politician who has a net worth of $3 million. Steve Scalise was born in New Orleans, Louisiana in October 1965. 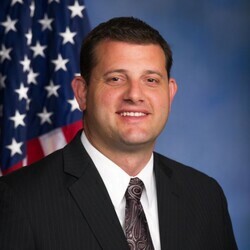 He is a Republican who graduated from Louisiana State University. Scalise served as a member of the Louisiana House of Representatives from the 82nd district from January 1996 to January 2008. From January 2008 to May 2008 he was a member of the Louisiana Senate from the 9th district. He became a member of the U.S House of Representatives from Louisiana's 1st district in May 2008. Scalise served as the House Majority Whip from August 2014 to January 2019 and became House Minority Whip in January 2019. 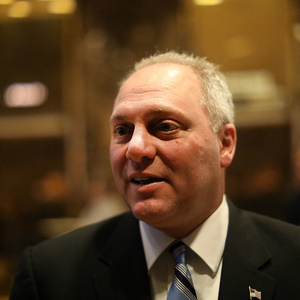 In 2017 Steve Scalise was shot by a left-wing activist at a baseball practice for the congressional baseball team but he made a full recovery after being in critical condition. He is married and has two children.